Many fish, cichlids included, often display color changes and color fading. These may be short term as induced by environmental stressors, mating, and other stimuli. On the other hand, some changes may be longer term, octogenetic changes that are typical of the species. Most factors affecting color changes are within your control but not all of them. Rather than be concerned about the fact that color changes are occurring with your fish, you should be more cognizant of why they are occurring. Which factors influencing color change are under your control? Since you determine which fish inhabit a tank, you control who the occupants are. 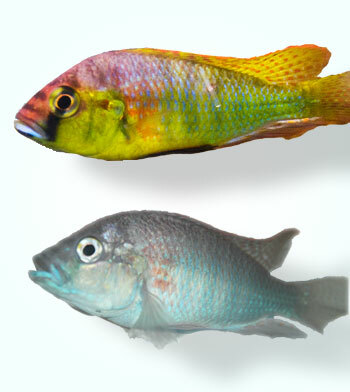 Gender ratios, species mix, aggression, and other such variables do affect cichlid colors. Yes, social status is a variable that influences coloration. For example, having multiple males in a single tank may cause all but the dominant male to have faded hues. You also control the water, the water temperature, the substrate, and the food. All of that matters. You can directly affect coloration by the quality of both the water and the food that you provide. Good, clean water reduces stress compared to poor water conditions. Stressed fish often have faded colors or even display mottled coloration. High quality food is also important and should be suitable for the type of fish (herbivore, carnivore, etc.). In fact, some commercially available fish foods contain color enhancing or promoting ingredients such as carotenoids (e.g., astaxanthin). All of the aforementioned variables are within your control and can affect rapid color changes, some more rapid than others. There are also developmental (octogentic) changes that affect coloration. Not all species retain the same coloration from birth through adulthood. These changes can be both subtle or dramatic. For example, some species may be one color through sub-adulthood and transform to a different color when they reach the adult stage. This is common in peacock species (Aulonocara) and other utaka genera. On the other hand, many mbuna male species typically retain bright colors from youth, while many females never gain much color at all and are usually a dull grey or tan-colored from birth. In contrast, Pseudotropheus lombardoi fry are typically blue in color, but adult males will be yellow. Much of this is expressed via sexual dimorphism, but that’s a topic for another post. How do you know what you are seeing and why? Knowledge and experience. If you are noticing color changes in all your fish species, the probability is higher that the cause is something you control. Only by understanding the variables that affect color changes can you understand what you are witnessing when it occurs and whether you should change something that you control. Note: The photo at the top is from a nice article on the influence of genetics on social behavior in chichlids by Hans Hofmann, professor in the department of integrative biology at the University of Texas at Austin. 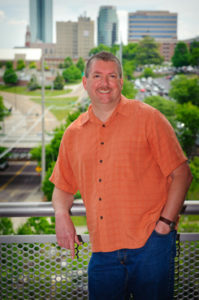 A couple of years ago, I reached out to Dr. Hofmann for an interview. He agreed, and we exchanged a few e-mails, but his busy schedule prevented him from completing the interview. I plan to reach out to him again soon.